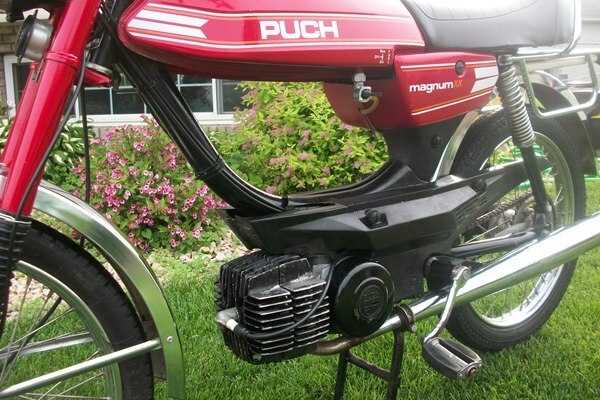 Super desirable and pretty darn hard to find 1978 Puch Magnum XK. 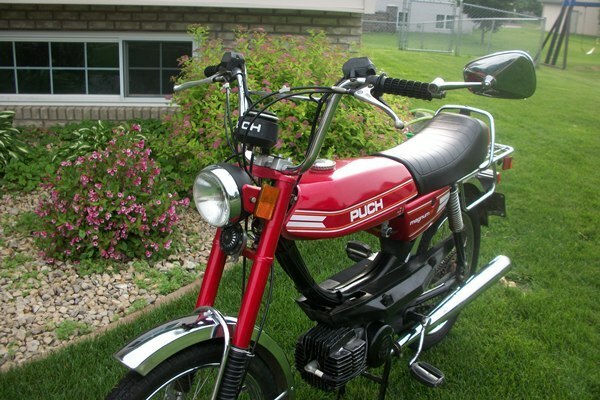 This was a one owner moped and spent its entire life on a farm out in western Minnesota. 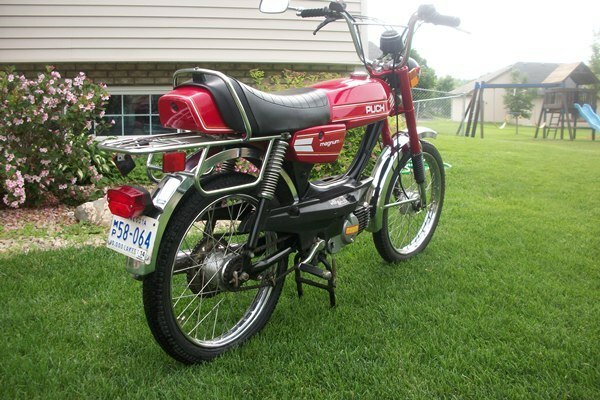 It was very well cared for and has all the original extras like owners manual, tools, air pump and fork lock/key. 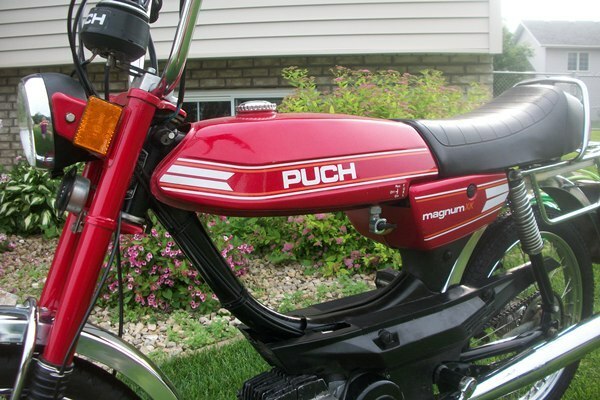 The bike still has excellent paint,graphics and shiny chrome. 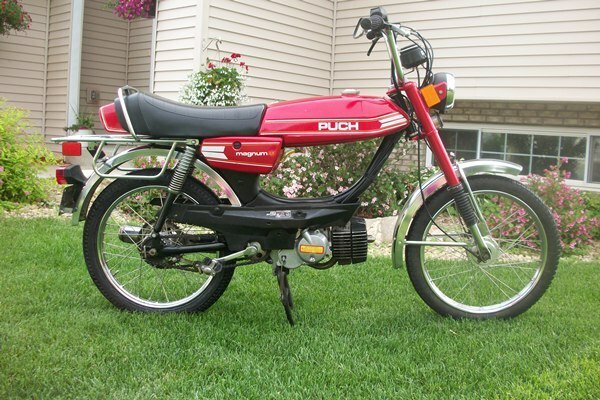 This moped features a simple 2-stroke E50 49cc engine and a fully automatic single speed transmission with a top speed of approximately 34 mph but has many performance enhancement possibilities. 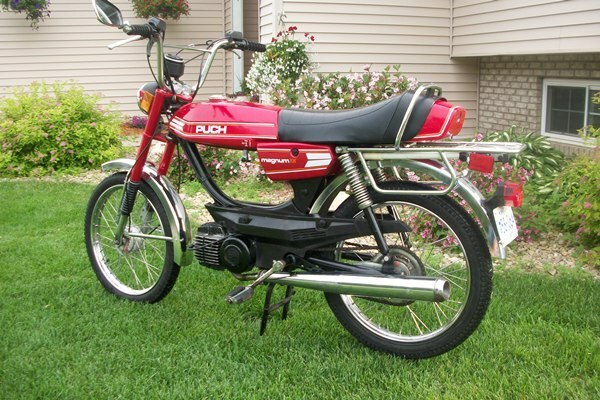 It has a current Minnesota registration and plates that are good for all of 2013! 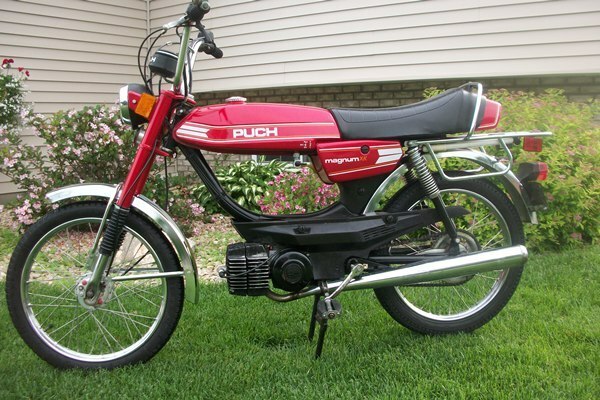 You can purchase this ready-to-ride moped just the way it is and enjoy it for another 35 years or you can have us fully re-condition it for you at additional cost with a rebuilt engine, rebuilt carb, new tires, cables, grips brake pads, rebuilt and reset speedometer and a full 30 day mechanical warranty. 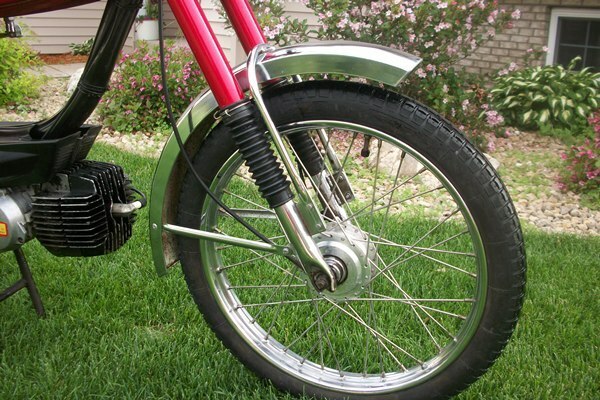 Free delivery within the Twin Cities/St Cloud metro areas . 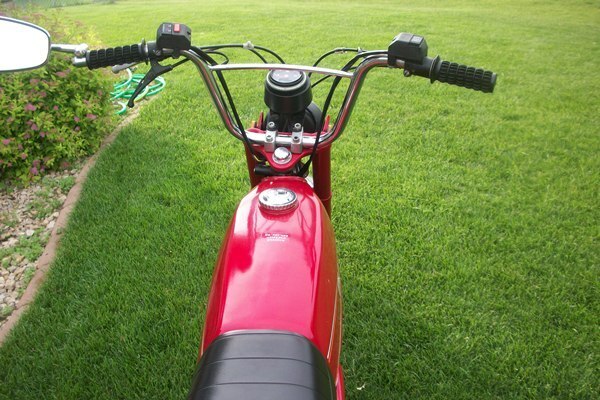 $1200.00 used and ready to ride, $1700 fully reconditioned!